Circa 1998 with a kit cost of US$7900. 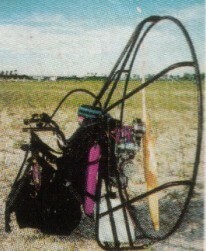 A tandem version sold for US$8900. 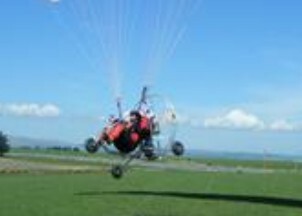 The Mach 1 paratrike uses a modified paraglider wing with the German-manufactured Solo 210cc two-stroke petrol engine. This has electronic ignition, electric starter, in-flight battery charging and its Walbro carburettor and tuned exhaust gives an extra 5 kg of thrust. Power to the 1.22-metre diameter wooden propeller is via a 2.5:1 Polyvee Belt Drive reduction unit, giving 60 kg of thrust at 6,300 rpm. Fuel capacity has been increased from the standard 8.5 to 10 litres, giving a 5-hour endurance at approximately 27 knots.